"Music has the charms to sooth the savage beast" says Playwright/Poet William Congreve, in The Mourning Bride, 1697. 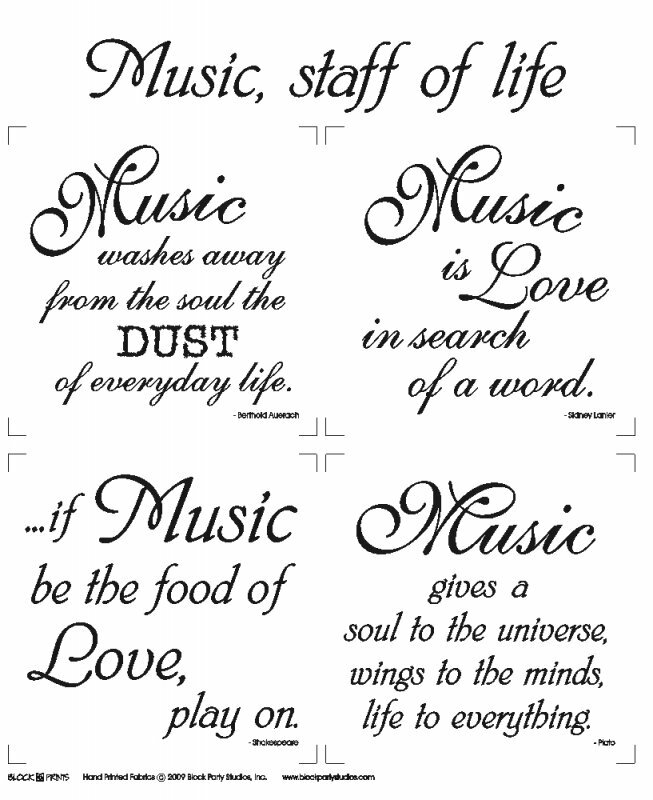 Our "Music, Staff of Life" fabric panel spotlights the beauty in music with four printed squares that finish to 8 inches each plus the banner! Buy with Smorgasbord Pattern. Pillow Kit with panel also available.